Sometimes simplicity determines the choice of design. This chandelier, from Lamplight Designs, adds maximum lighting without overpowering the space. 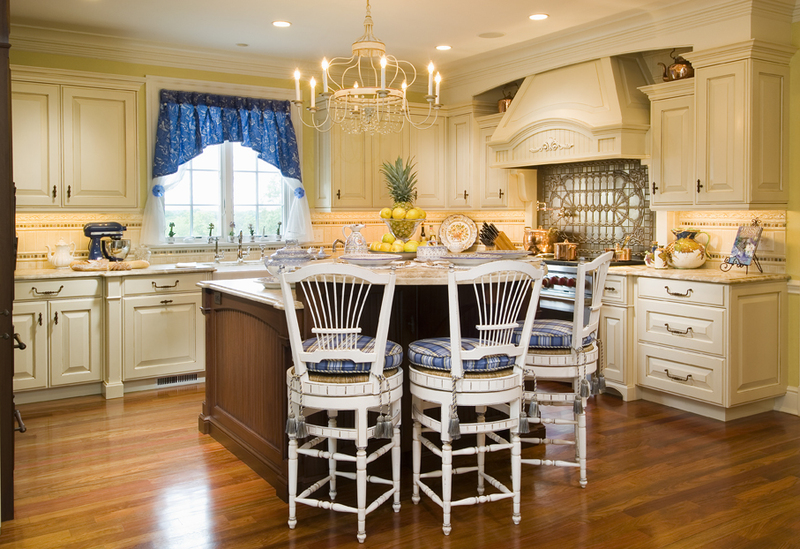 Additionally, the custom boxed-cushions add the extra needed height, and with their silk cord and tassels, provide fine details to the client's barstools. A window sheer and blue glass finial were added to complement the blue and white fabric of the preexisting arched valance.